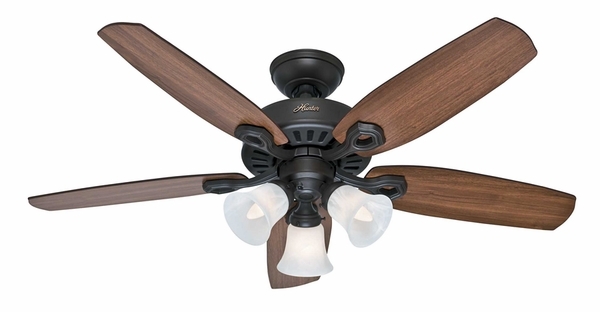 Hunter 52107 Builder Small Room Fan with Blades and Light Kit - 42"
Home > Home Improvement > Fans > All Ceiling Fans > Hunter 52107 Builder Small Room Fan with Blades and Light Kit - 42"
The Builder Small Room 42 inch Ceiling Fan with Fan Blades and a Light Kit is from one of the most trusted names in fan manufacturing, Hunter. 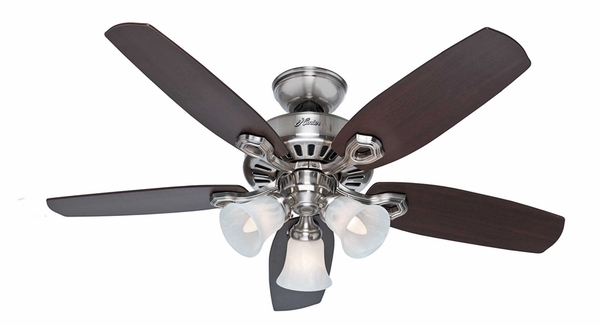 The Hunter Fan Company is committed to excellence, and has been for over 100 years now. 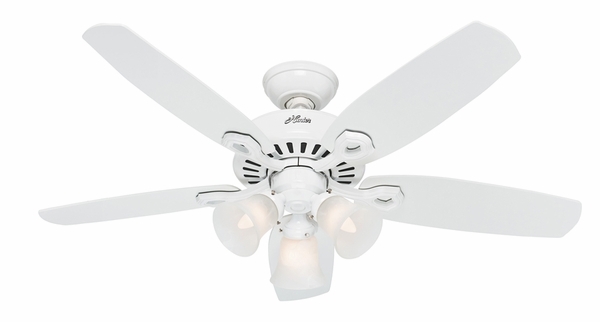 The Builder Small Room Ceiling Fan is for indoor use, and features a Whisper Wind Motor for a quiet coolness that everyone will love. Equipped with an Installer's Choice three position mounting system, the Builder Small Room Fan can be mounting flush, angled, or standard. The Builder Small Room requires three 60W candelabra bulbs, included for your convenience. Is this fan Star energy efficient? This unit is not certified energy efficient. Is there a warranty on this Hunter 52107 Builder Small Room Fan with Blades and Light Kit fan? Indeed there is. This fan has a Manufacturer's limited lifetime warranty.